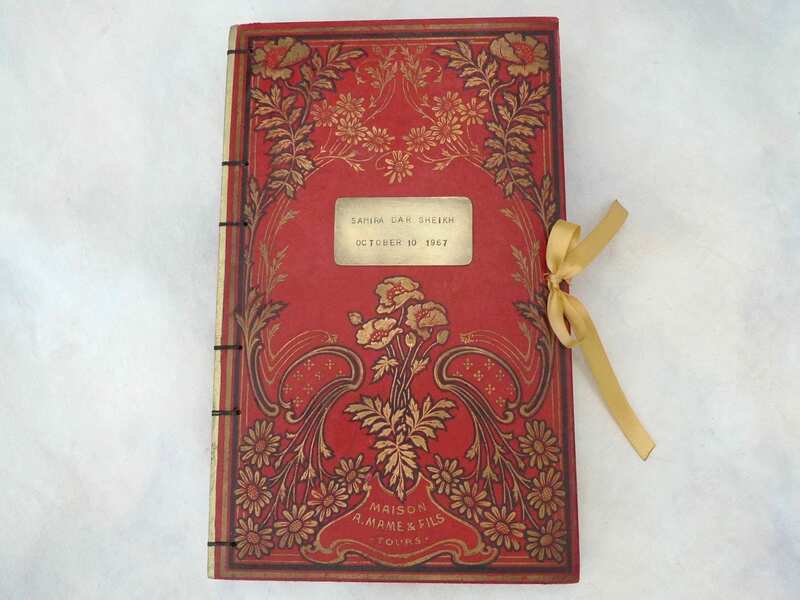 Gorgeous art nouveau wedding guestbooks made from antique French books. 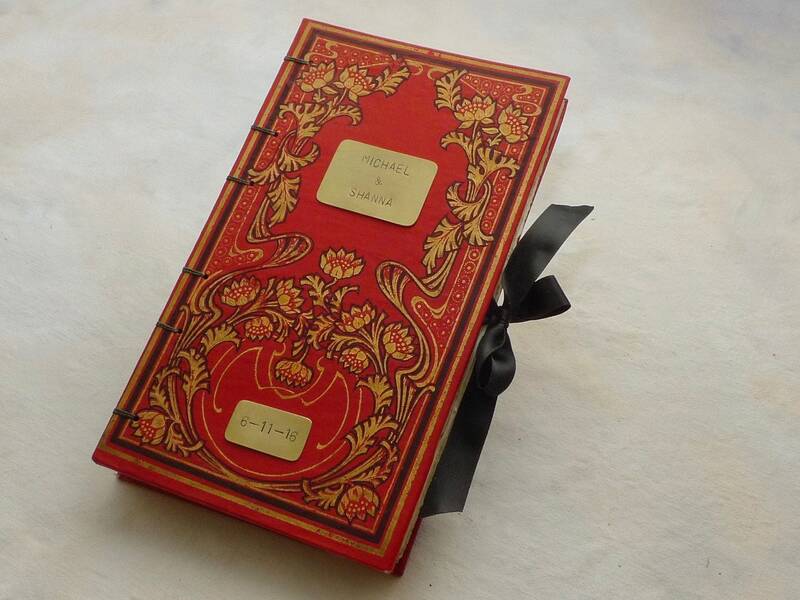 Each carefully selected cover is rebound with quality paper and can be personalized with your name and other text. A timeless keepsake for your treasured memories. PHOTOS SHOW SOLD GUESTBOOKS and popular options. Please return to the shop home page and use the menu on the left to see available covers by size and style then place your order directly from the listing. Can't find what you want? Please contact me with your request, I'll be happy to help you find the right book and options. Pricing: popular guestbook packages are listed below for mid-size books. You are not limited to these packages, other options available. 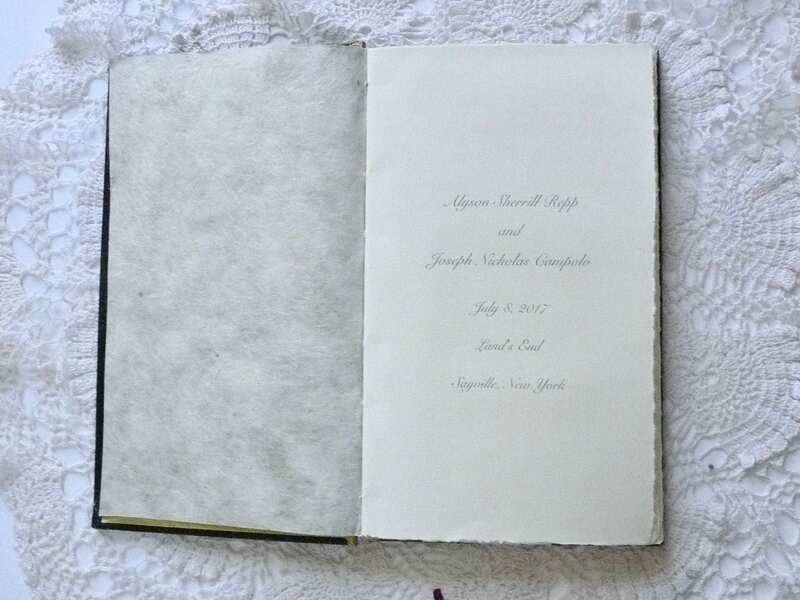 Guestbooks can be made in the Traditional or Scrapbook style. 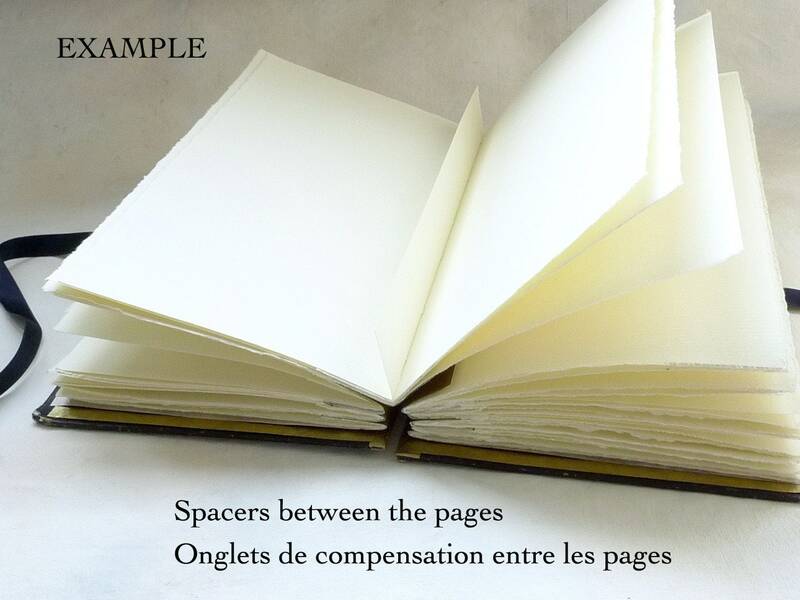 Scrapbooks are made with spacers between the pages to allow room for photos later (see sample image). If you are adding only a couple of photos, this option isn't necessary. 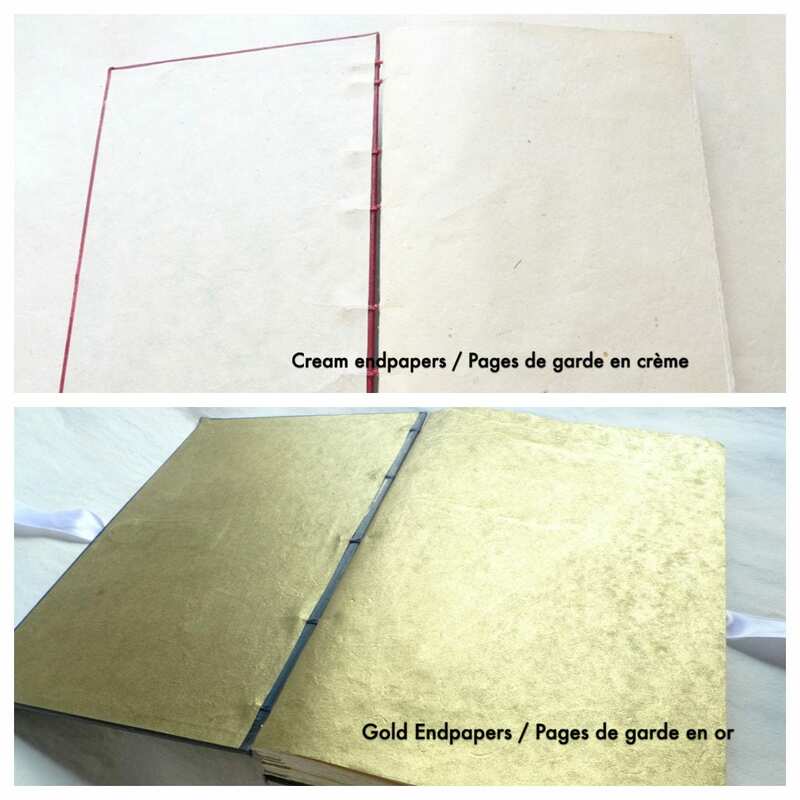 Each package comes with 120 pages (front and back) of hand-torn quality ivory paper. 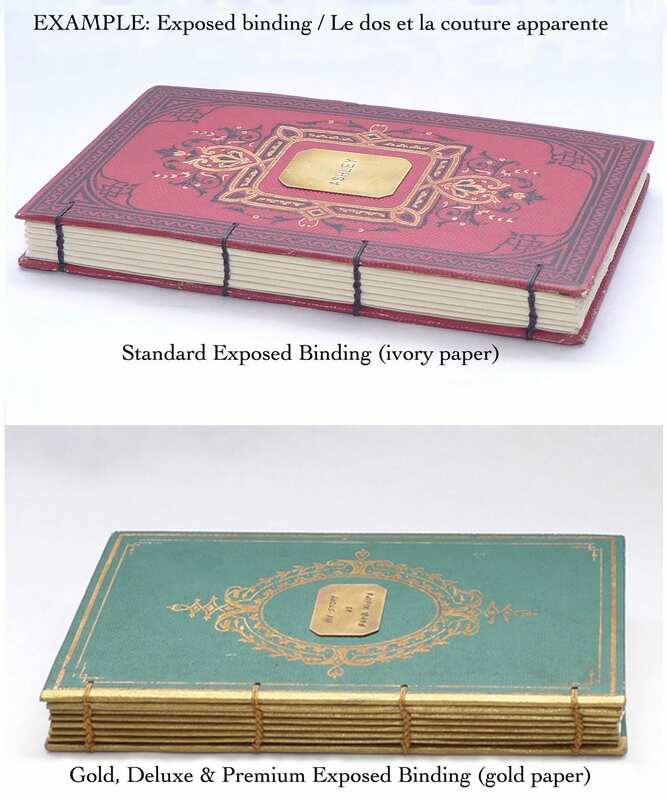 Books are bound using an exposed binding method that is strong and flexible allowing the book to lay flat. 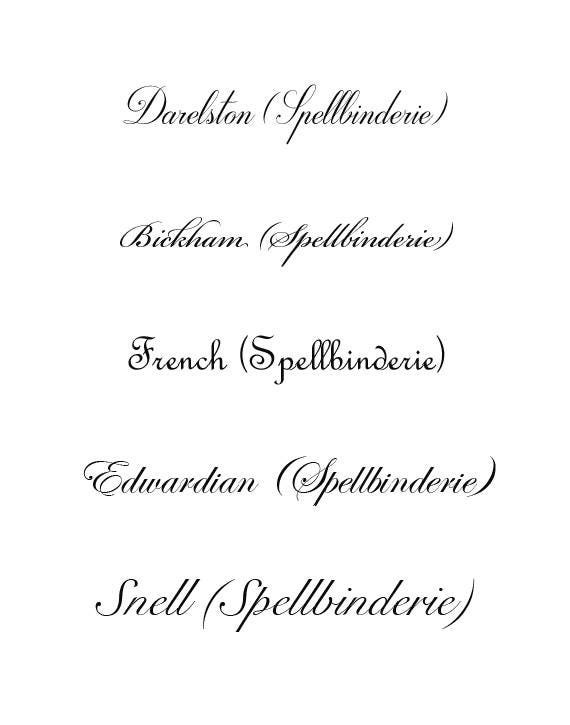 Custom Order, please allow additional time for production.